Ralph, 2006, oil on linen, 21 x 30 in. Clarissa, Dave & Flora, 1994, oil on canvas, 43.25 x 63 in. Red, 2012, pastel on paper, 28 x 21 in. 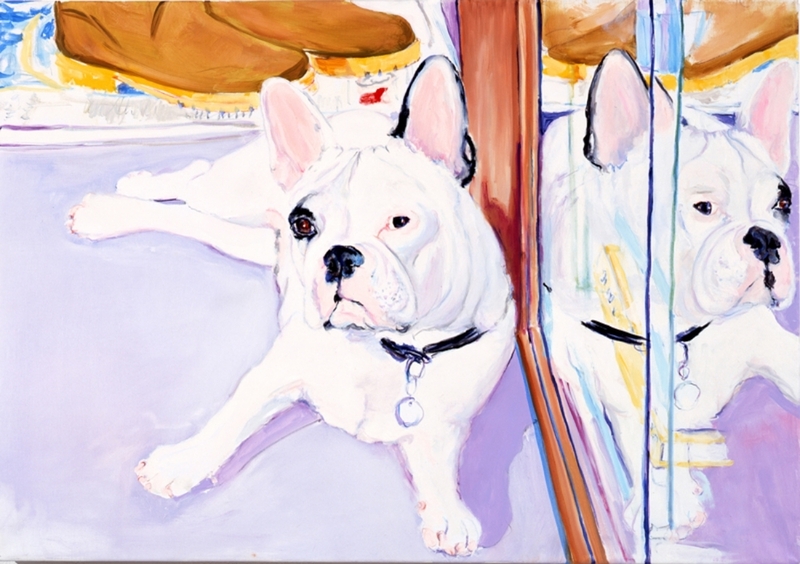 Billy Sullivan is a painter who is obsessed with his and other people's dogs. I met Billy last summer with his husband Klaus at Malcolm Morley's house for dinner. We didn't talk dogs but we will from now on. His show is currently at Kaufmann Repetto on 535 West 22nd Street in NYC until April 30.